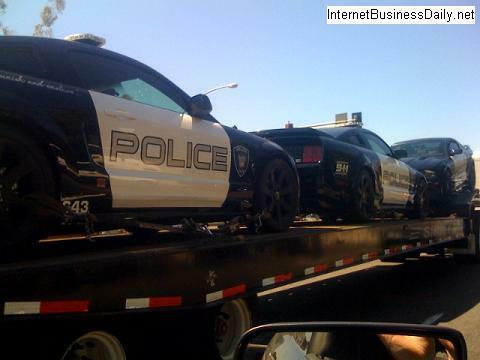 So who’s returning… or debuting in the Transformers 2 Movie? 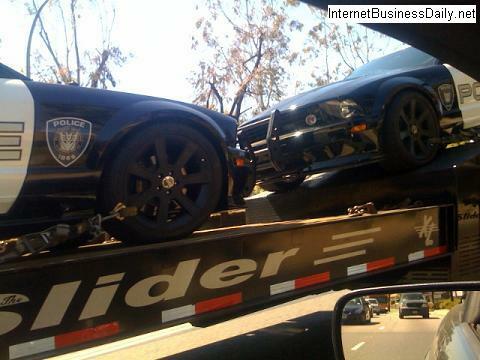 Matthew Berman from InternetBusinessDaily.net was driving around Culver City and spotted 3 Ford Mustang Saleens sitting on a flat bed truck. 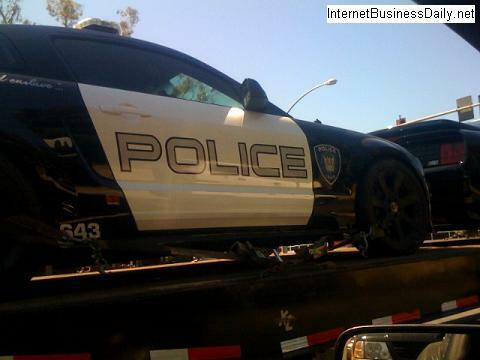 If you look closely, you will see the Decepticons logo. That’s right. 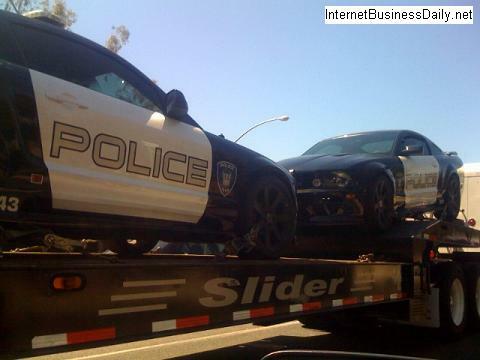 We will be seeing Barricade in Transformers 2!